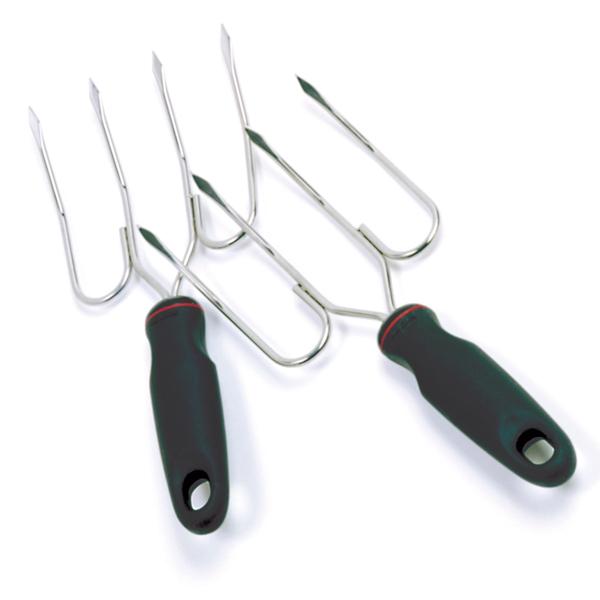 These stylish, stainless steel turkey lifters are the easiest way to transfer a turkey, ham or roast from a pan to the carving board. They feature soft, comfortable santoprene handles that allow for a stronger, non-slip grip. The handles happen to be over sized and they have finger indents which give them a great hold without strain. Measure 10"/25.5cm long and are dishwasher safe.